For the discussion of Toho toys, models, figures and other collectibles of this nature. 2017 is coming to an end pretty soon. A lot of new items are starting to get announced for 2018. If you're like me (admit it, some of ya'll are), you like to plan ahead. I've already began planning out my 2018 Grocery List like I have the past few. Couple items are surely being carried over since I was unable to acquire them this year (yet) and it seems that may be the case going in. One or two items could just be pipe dream buys. Last edited by MM Raids Again on Mon Sep 04, 2017 1:49 pm, edited 4 times in total. 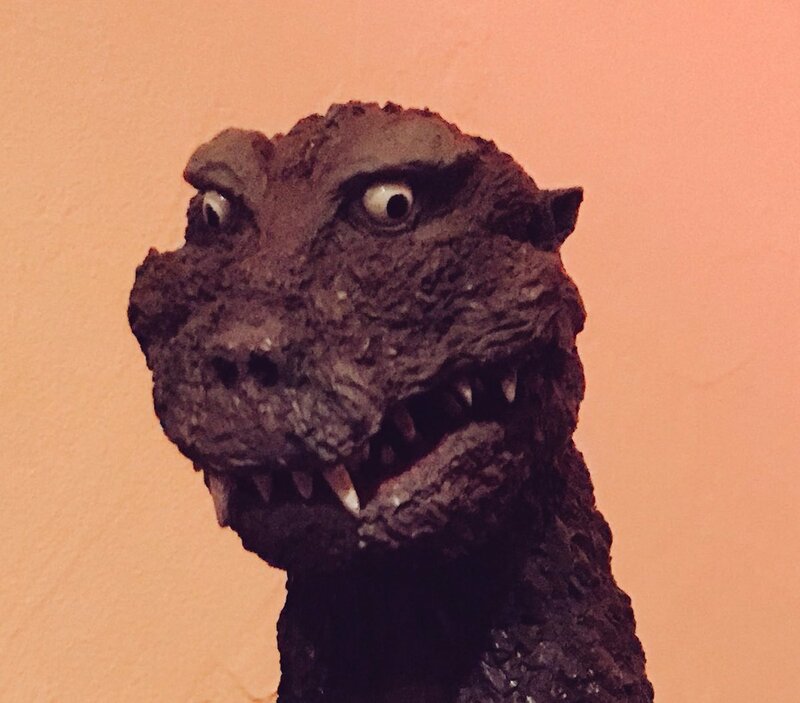 Revoltech Gamera is chilling on Mandarake for around 5,000yen. Really seems to have dropped in price. I will explain slowly why you are wrong. Castellan Zilla wrote: Revoltech Gamera is chilling on Mandarake for around 5,000yen. Really seems to have dropped in price. So far, all the Pacific Rim figures besides the expensive (overpriced?) chogokin. Anguirus wrote: So far, all the Pacific Rim figures besides the expensive (overpriced?) chogokin. MM Raids Again wrote: 2017 is coming to an end pretty soon. A lot of new items are starting to get announced for 2018. If you're like me (admit it, some of ya'll are), you like to plan ahead. I've already began planning out my 2018 Grocery List like I have the past few. I had my wallet prepped for the Godzilla Monster Planet and Pacific Storm Uprising figures, but I was disappointed by the revealed designs & so 2018 is looking to be a sparse Godzilla year for me. The only only kaiju-related item I'm anticipating is Evolution Toys' upcoming Gridman figure, and (sort of kaiju) any figures that might be released of Guillermo Del Toro's Shape of Water Gillman. Last edited by G1985 on Sat Sep 23, 2017 8:37 am, edited 1 time in total. Rocker, paleo buff, cryptid enthusiast, Dragonball fanatic, and lover of comic book, video game, manga, & anime babes!